At Christmas time we hear the phrase “Peace on earth, good will toward men.” This origniates from the Bible, in the account of Jesus’ birth. 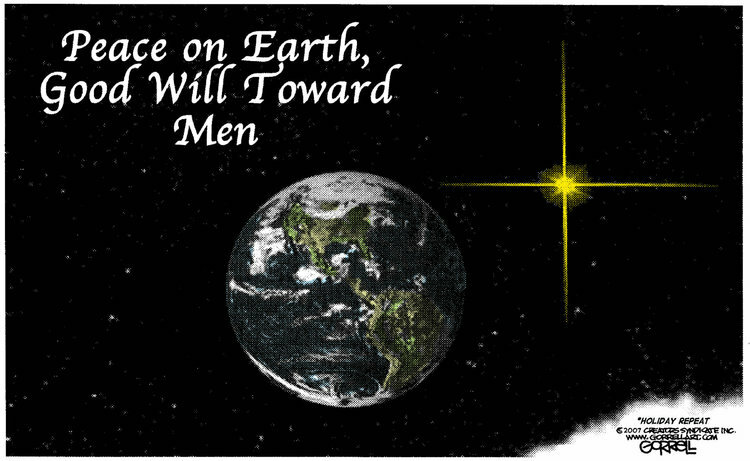 1. a) Who said “Peace on earth, good will toward men”? b) To whom were they speaking? c) What was the good news they brought? b) The angels were speaking to shepherds. c) The good news the angels brought was that the savior of all people was born on that day in the city of David (Bethlehem).